Gita Saedi Kiely is a longtime friend and supporter of the J School, in addition to being a formidable filmmaker in her own right. 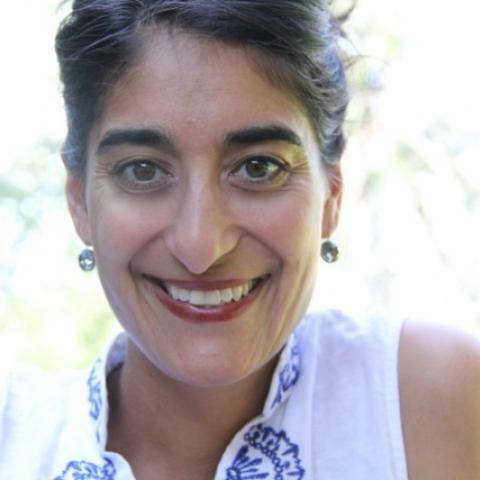 I’m pleased to announce that Gita Saedi Kiely has accepted the position of Director of Development assigned to work with the School of Journalism. In that role, Gita will collaborate with Dean Larry Abramson to grow private support of the School of Journalism through annual, major and principal gifts from individuals, corporations and foundations. Gita will begin work at the Foundation on Monday, December 5. Gita has served as the Executive Director of the Big Sky Film Institute & Big Sky Documentary Film Festival since June 2014. In that role she has directed all aspects of the 10-day film festival which draws an audience of 20,000 to Missoula. In addition, she worked with the Film Festival from 2012-2014 as Festival Director and later as DocShop Director. Gita served as an adjunct lecturer for the School of Journalism from 2007-2012. She is also a noted film producer. Among the critically acclaimed projects she produced is the series The New Americans, an award-winning multi-part series for public television which initially broadcast in Spring 2004. Many thanks to Jerelyn and Stacy, as well as the Development, Prospect Research, MarCom and Gift & Fund Administration teams who helped interview and evaluate candidates for this position. Please join me in welcoming Gita to the Foundation team.